Note an earlier version of this post included details about an O365 admin portal feature, however that feature is still being developed and will be announced in a future update. 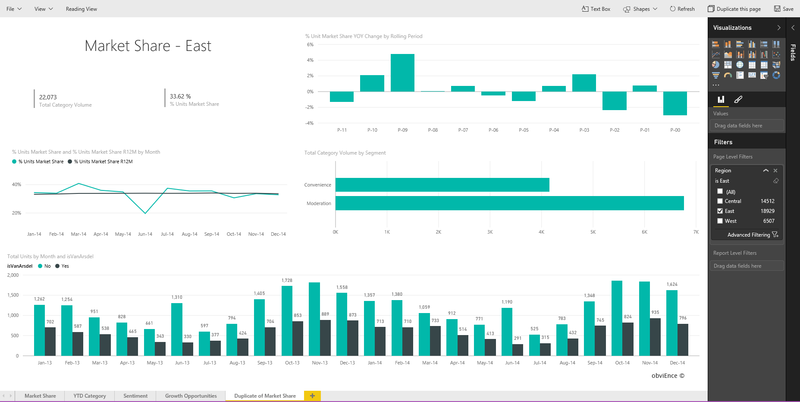 Buying Power BI Pro is easier than ever with our new purchase experience. 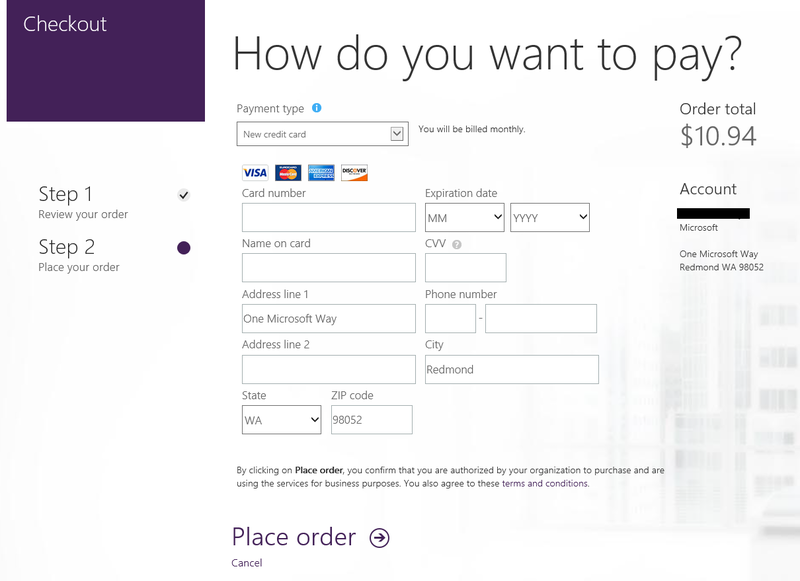 When you are ready to buy Power BI Pro, start by selecting Purchase on the pricing page. After that we will ask you a few simple questions to guide you to the right purchase experience for you. In no more than three questions, you will be able to start buying Power BI for either yourself or your team. 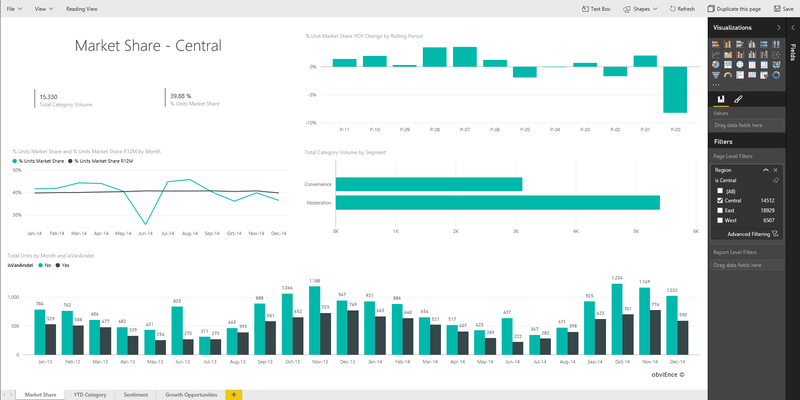 In addition to the updated purchase flow, we now allow individuals to purchase Power BI for themselves. While going through the purchase experienced described above, you will be asked if you want to purchase Power BI for your team or organization or for yourself. By picking Myself, you will be taking to a Checkout page which will ask you to review your order. After you have reviewed the order and clicked Next, you can enter in your payment information and start using Power BI Pro! A common scenario when creating reports is to have multiple pages that are identical except for having different filters applied. For example, you may want a report page to look at your market share in each region you do business in. Previously, you had to recreate the same page for each region from scratch, but with this update to Power BI, you can create the page once and duplicate it as many times as you need. You start by creating one page with the layout you want and the page level filter set. In our example, we created a page showing market share and applied a Page Level Filter to filter the data down to the Central Region. Once the first page is ready, clicking the Duplicate this page button on the top right will create a duplicate of the page. After that all, all you need to do is update the filter and the name to have a new customized page. In our case, we updated the title of the page and changed the page level filter to the East region. 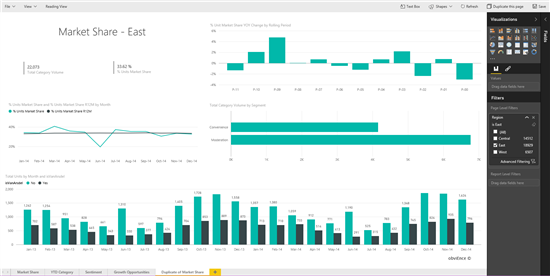 Last but not least, check our past weekly updates to stay up to date on the latest and greatest for the Power BI service.